Founded and created supposedly by Satoshi Nakamoto in October 2008, Blockchain technology is still in its infancy stage of development almost nine years later. Having created a lot of buzz since the rise of cryptocurrency and Bitcoin’s increasing popularity, Blockchain has come into the limelight as people find increasingly more ways to inventively apply this technology. When it comes to the fundamentals of understanding Blockchain, the website Blockgeek articulated the technology's central conceit quite well. "Picture a spreadsheet that is duplicated thousands of times across a network of computers," the article explains. "Then imagine that this network is designed to regularly update this spreadsheet." Blockchains are capable of recording economic transactions, but the technology might also be able to record virtually everything of value. 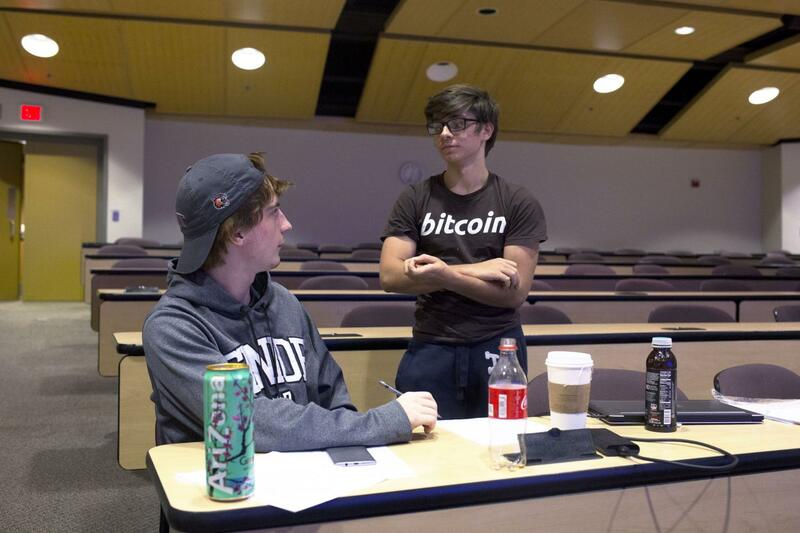 “A distributed public ledger in software, that’s what [Blockchain] is,” said Professor Stanislaw Radziszowski of the Computer Science Department in RIT's Golisano College of Computing and Information Sciences. Radziszowski teaches several courses related to Cryptography. Whenever a transaction is requested, the transaction is broadcasted to a P2P (Peer to Peer) network where computers grouped together — also known as nodes — validate the transaction using algorithms which can be fine-tuned based on what is expected or what the transaction outline should look like. Once the transaction block has been verified, it can be combined with the others to create a chain of data which is permanent and provides a history of all past transactions in the block. By "distributed," Radziszowski was referring to the fact that Blockchains connect to several nodes over networks regarding transactions. And by "public" he was alluding to how Blockchain is transparent, accessible and verifiable by the public. Between that functionality and the tech's ability to store a complete history of every transaction its handled, some pretty powerful applications are enabled. Currently, Blockchain technology is primarily used in the financial world. “It is has been spectacularly successful in the context of cryptocurrencies. The total market right now is about $250 billion; this is larger than the GDP of most countries,” said Radziszowski. To properly understand how the technology is applied, it helps to look at it through the lens of traditional currency. One of the most common transactions recorded and stored by Blockchains are those for Bitcoin. Bitcoin is a cryptocurrency that is known to be decentralized and transparent. It has earned its popularity because it isn't controlled or printed by the government; it is money freely exchanged without taxation or regulation. Bitcoins are acquired by "mining" coins, which entails loaning a device's computational power to help compute transactions allowing users to provide back to the technology. Several of these users help compute the integrity of transactions, as the transactions are calculated by each host computer and compared with each other. In reality, Bitcoin's community is what gives Bitcoins importance. Bitcoin cannot be considered as a physical form of currency, it is just a number reflected off of an account. Blockchain technology is used to keep track of the history of financial transactions, as each new transaction links to the other. As it happens, people have taken notice of the rapid adaption of this technology and want to jump on. That being said, Professor Radziszowski is rather skeptical about the legs of this phenomenon. .
“I think there is too much hype going on; It is completely spectacularly in terms of cryptocurrencies,” said Radiziszowski. “I think the essence of it is to deal with financial transactions, that’s what it is good for. Very brief and crisp statements that is precise in terms of numbers and history of transactions which is absolutely essential in terms of the financial market so it definitely works there." According to Professor Radiziszowski, there hasn’t been enough evidence to justify using Blockchain, as opposed to the conventional informational database systems already in place. Hill, on the other hand, thought quite differently. He suggested that Blockchain’s primary function will eventually shift from cryptocurrency to replacing the aforementioned systems. In fact, several open source projects have suggested uses for Blockchains on maintaining databases such as health record histories or government policy changes. Aside from basic record-keeping, the built-in transparency of Blockchains could help people to easily rectify past documentation. Additionally, it could help lessen financial fraud. If Blockchains are accepted on a mass scale, they would have several monetary benefits and capabilities that would take the financial world by storm. They could introduce a standard currency for cross-border transactions with zero exchange rates. The Nasdaq Stock Market has already made room for use of Blockchain to enable private companies to issue and trade shares. Politically, the future of Blockchains and cryptocurrency is up for question because of their inherent nature. Because the technologies are so new, there isn't any government control or centralized unit of money distribution. Blockchain technology is experimental, and its benefits and uses are yet to be evaluated in full. The rapid increase in interest and demand has led to the production of improvements which will definitely be something to look out for in the future.